4th International Conference on Science Advice to Government. 2020 conference dates are set to be Monday September 14 to Friday September 18, 2020 at Palais des congrès de Montréal, Québec, Canada. We are, as always, excited to be putting together another great conference with a variety of appealing panels and keynote presentations. And we hope you will be able to attend. We also encourage you to spread the word to friends, mentors and peers. To stay in touch with all the conference announcements and additional information, please signed up to the INGSA network. (https://www.ingsa.org/join/) For those of you already signed up, this will update your details so that we have the most relevant information for you. 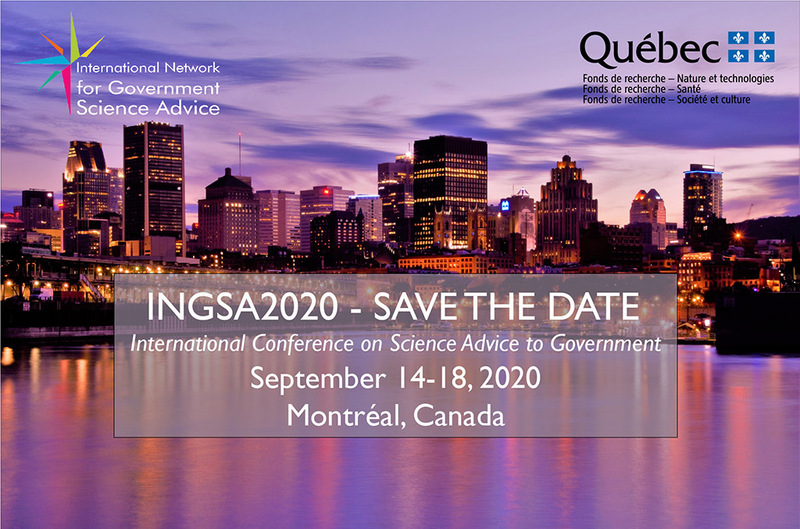 Thanks and we hope to see you at INGSA2020 in Montréal!